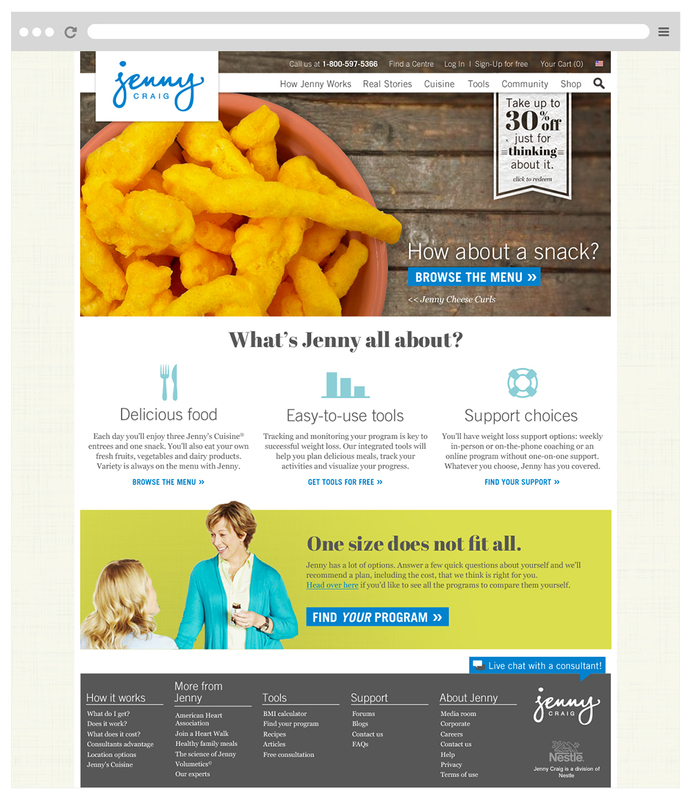 Long time client, Jenny Craig, came to TNG and needed their site reimagined as responsive. We took the opportunity to give them more than just a responsive version of their current site. Everything was on the table. It was exciting to stretch their brand with new colors and new typefaces. 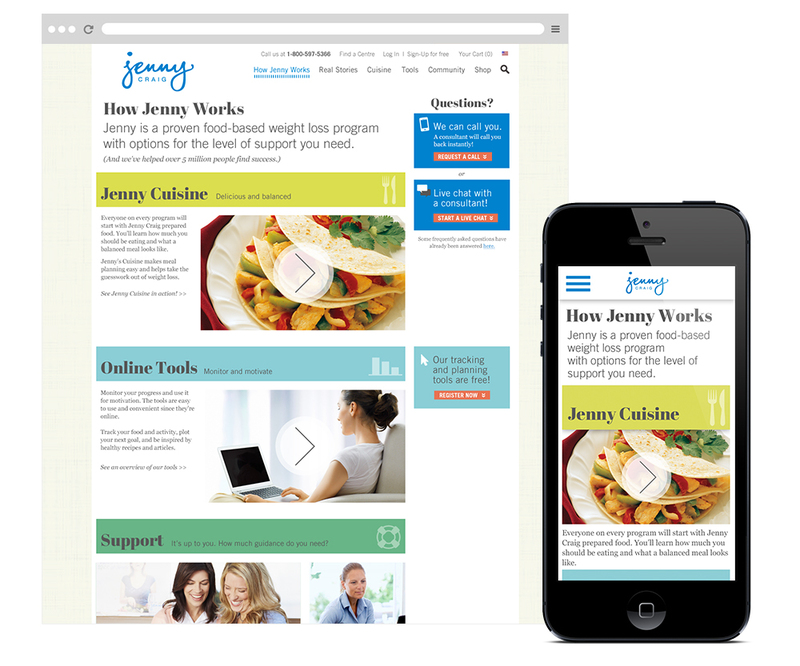 Having worked with the Jenny brand for so long we had a deep understanding of what was important to their users and what concerns they had. We knew that the site, with some intelligence, could be a better sales tool for our client. introduce relevant food ideas at just the right moment.